An unquestionably light touch sherry which is probably best if you had such a light elegant spirit but had to have it in a sherry cask. Wafting jams of juicy and lightly fresh proportions, dusted with cinnamon and clove powder. 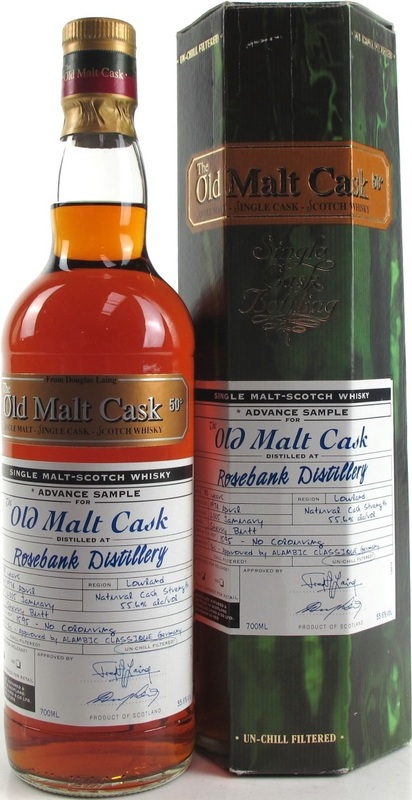 Quite some toasted oak – and it’s apparent on the tongue, and cold cream. Hints of zesty brightness, art putty, clean clear resin. Citrus oil and galbanum. Warm menthol glow and an supple litheness in the spirit. Thicker and more weighty than the Chieftains. Firstly it’s a great dry aromatic sherry rich with fruitcake and cocoa, and again lots of dry dusty woodspices but the spirit itself seems thicker and a notch more phenolic. A touch of dirty flints and burnt gristle, a bit of oily toolbox, a scrappy sooty rag, spilt lubricating oil, and a bowl of ripely moldering fruit sitting in a warm corner. But it’s all very subtle and sits just under the sherry richness in such an elegant and restrained way. Great old Rosebank from a different era. 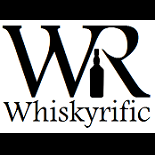 This entry was posted on November 29, 2018 by Whiskyrific in Rosebank and tagged Rosebank.